Georgian Corkscrew with a couple extra features. 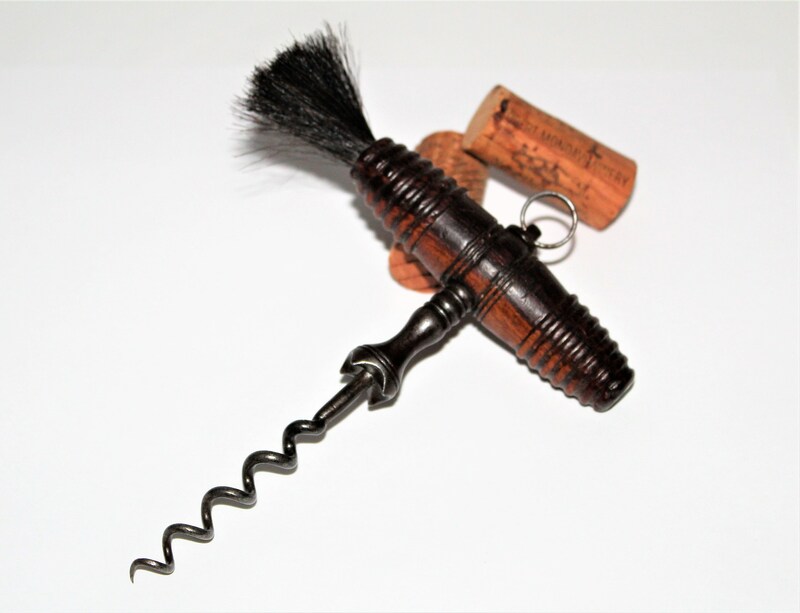 *The Deep Gripping Easer, this is the four points or teeth just above the worm (corkscrew) these hit the top of the cork as you turn the corkscrew the teeth grab the top of the cork twisting it and releasing the hold on the bottle allowing you to pull the cork with ease. 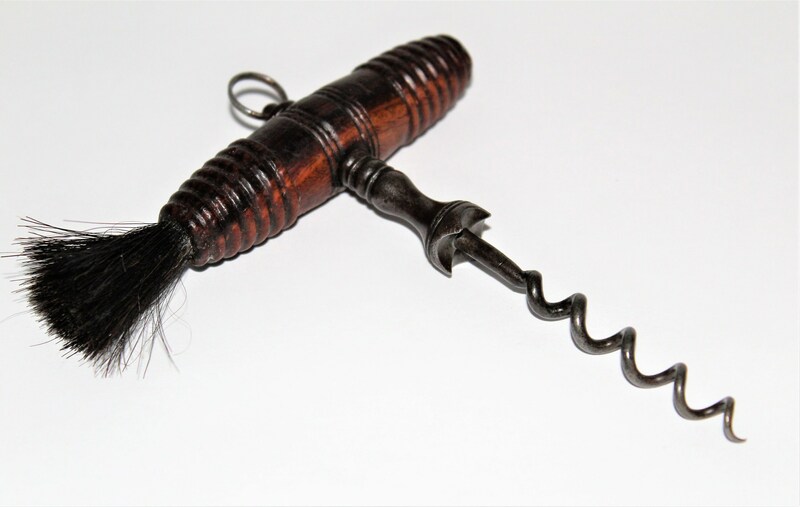 *The Dusting Brush, in the 1800s you would have ventured down to the dirt root cellar to choose a bottle from the rack using the dusting brush to clean the dust and dirt off the bottle before opening. 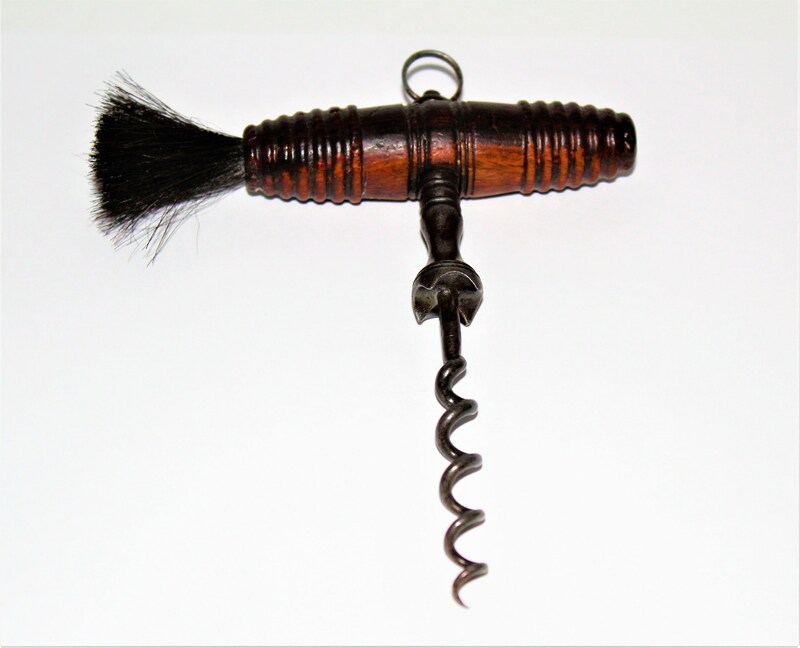 The corkscrew also has a rosewood handle and hanging ring. This will make a wonderful gift or a great addition to any collection. Measures; 6” long, 5” wide at handle. 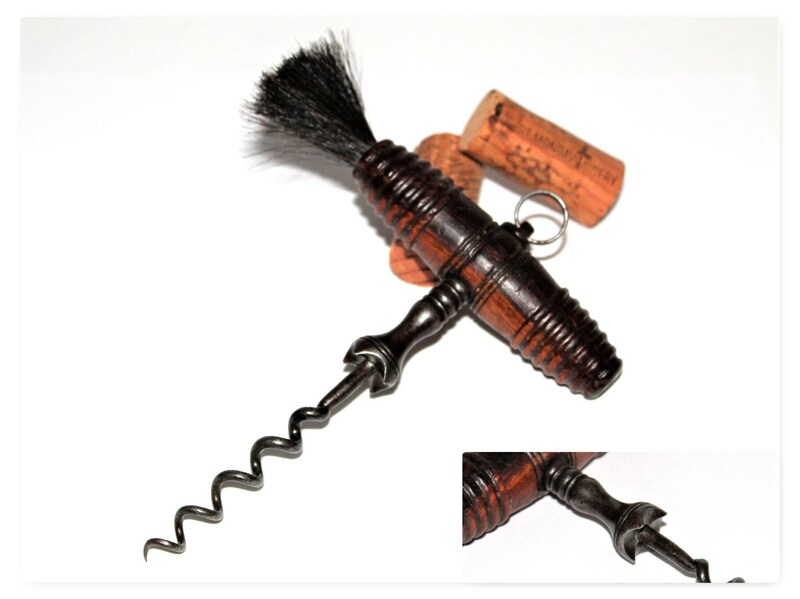 Condition; Good with chips in the wood handle, handle is a little lose but secure will not hamper the function of the corkscrew, horse hair brush may not be original.